Florida Theater On Stage has a couple of articles about shows opening this week that came out after our Monday Reading List went up. So we're telling you about them now, so you know a little bit more about these shows than our Thursday listings will tell you. Don’t call Terri Girvin’s Last Call a solo piece when it returns to the Broward Center this week. 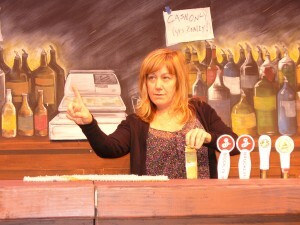 She’s the first to say that the precisely timed sound effects ingrained into a comic monologue about her life as a bartender make her carefully choreographed odyssey more than a one-woman show. “I’ve always felt that there are four people doing the show. I’m just the one you can see,” she said in a break from rehearsals Tuesday with her director and two sound engineers huddled over two laptops computer controlling 748 sound cues. This show played at the much smaller Empire Stage last year. You can read the reviews HERE. But hurry - it only plays this weekend at The Broward Center for the Performing Arts. It's been awhile since AMADEUS has played Palm Beach County, you have to go back to the defunct Florida Rep back in 1989. Mosaic stage it in Broward County in 2004. Now Jupiter Theatre brings it back. Maltz Jupiter theatergoers need to manage their expectations of next week’s run of the play Amadeus, better known for Oscar-winning (film) version about the mediocre court composer Salieri’s possibly murderous rivalry with the young genius Mozart. Peter Shaffer’s 1979 masterpiece is not just different, it’s better. Much better, many critics would say. Regardless of the quality of the production, it is a different work of art, said director Michael Gieleta and star Tom Bloom who plays the narrator and audience surrogate Salieri. “It’s shockingly different,” Bloom said before starting rehearsal last week. 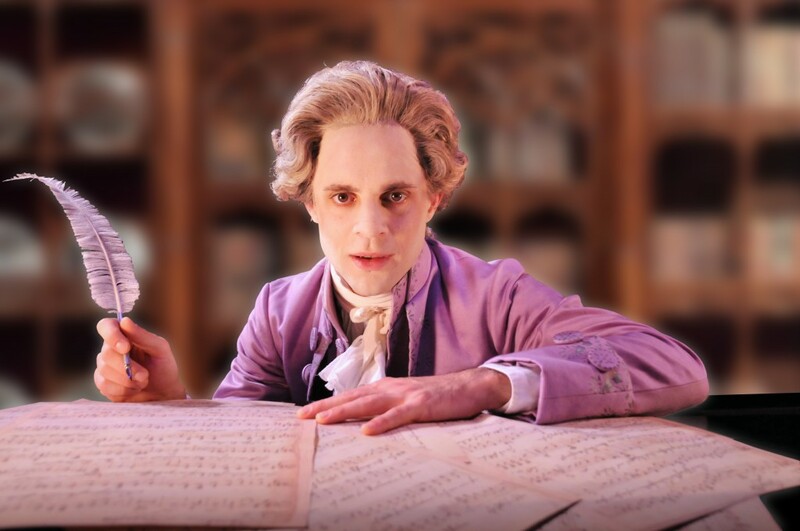 Amadeus opens Friday and plays through November 11 at the Maltz Jupiter Theatre.